FLAC is the audio codding format for the digital audio files. This format is open source and can be used by everyone without any copyright issue. FLAC format is very different from the lossy compression MP3 or AAC formats. This format will not damage the original quality of the audio after conversion. This format is getting more popularity among the music lovers but still it is not as popular as the AAC and MP3 format that’s why most of the people don’t like to Keep their audio files in this format. On this webpage you can know how to convert FLAC to AAC format very easily and quickly. Let’s start the process now. KeepVid Online Converter is our first free and fast way to convert FLAC to AAC using your browser directly. This online converter website totally depends on the browser and you don’t need to install single software on your system to convert FLAC to AAC using this website. KeepVid Online Converter supports 60 audio and video formats. This is very easy to use website and then only thing you required to have an internet connection. 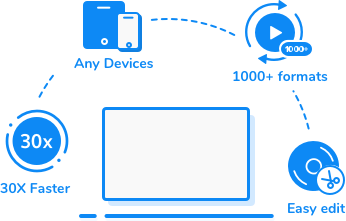 KeepVid Video Converter is simple video converter software just like the other desktop video converters but with more powerful features.  With KeepVid Video Converter you get ready your video and audio to play instantly in any format on any device. You also get the wide range of other features such as video downloading and editing. Let’s have a look at the main features of this video converter program below. It supports MKV, MOV, 3GP, MP4, VOB and more than 1000 format to covert the files from one format to another. Supports YouTube, hulu, dailymotion and more than 10000 sites to download the videos as well. Enables you to crop, rotate, add subtitles to your videos. Download or convert the videos in batch instead of converting one by one. Convert the videos in desired format by 30x faster speed. Step 3 – Lastly, select the preferred file format, i.e. AAC, from the available audio formats and hit “Convert Now” button. Go to the official software download page of website and download the installation file in your system. After downloading install it by following on screen instruction and then launch the program. Click the “Add files” option in the top left side and choose FLAC files to convert. Once files are added for conversion look at the “Convert All files to” option in the top right side and click the inverted triangle button. Select the output format AAC from the list of formats. Now the final step is click on “Convert All” button and then your file conversion will be started. AAC stands for Advanced Audio Coding. This format is mostly same as the MP3 format but it is there with some improvements as compare to the MP3. AAC format is used by the apple iTunes music store to encode their music files. This is good as compared to the MP3 but due to less popularity of this format people don’t like to keep their music files in this format.